Kate Leth is a busy woman. 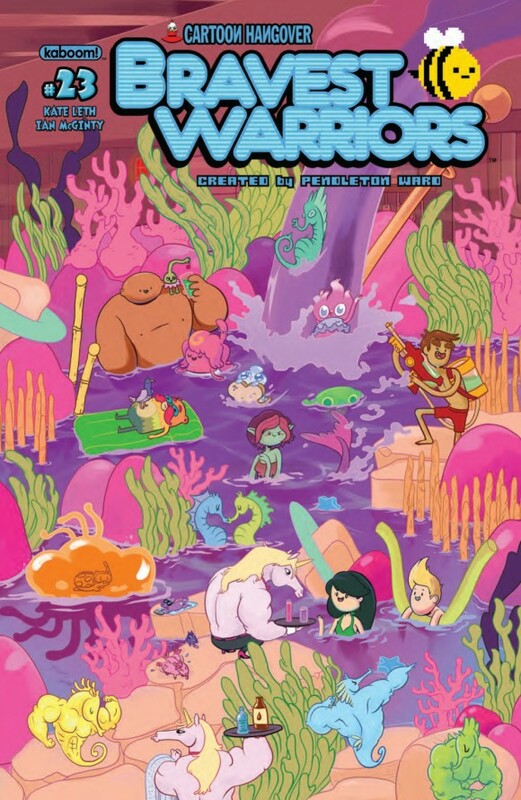 She cartoons, she illustrates, she writes — including Boom’s Bravest Warriors adaptation — she’s a comic-shop working stiff and she’s an activist. We dig her. Read this MIGHTY Q&A and you will too! Dan Greenfield: What’s your Secret Origin? Kate Leth: I was found in a box of kittens on the side of the road. Excellent. You are one busy person. Tell us everything you’ve got going on. Hmm, OK, here goes: I run The Valkyries, a group for women in comics. We’re planning a big meetup for early next year — patriarchy-destroying summit-type deal. I’m writing three comic series: Edward Scissorhands, Fraggle Rock and Bravest Warriors. I do biweekly comics for ComicsAlliance alongside (rare) updates on my own domain/Tumblr. I do covers and badges for Lumberjanes and other kaBOOM! properties. I work with Welcome to Night Vale and contribute to a few Kickstarters. I work about twice a month at a comic shop and I am going to (numerous) conventions between now and mid-November. 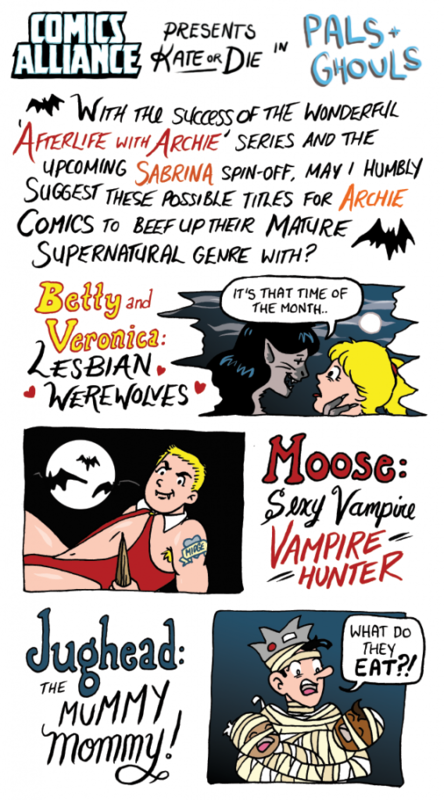 Kate’s most recent hilarious strip at ComicsAlliance. I refuse to ask about what it’s like being a woman in comics. It’s a stupid question. It’s been asked 1,000 times. But as a writer, artist and retailer who freely shares her opinions through her art, tell me what you think of the state of comics today. As a human being. I think it’s getting better all the time. I think women are starting to realize that there is a big community, and that we have a support system. I think diversity is improving. I think, and I hope. You write, you draw, you sell, you rally the troops. What gives you the most satisfaction? Writing, I think, and drawing covers. I love doing comic covers. It’s really fun, you can kind of go crazy, but then move on to something new. It isn’t as involved. Writing is involved, but the payoff of getting to see the art illustrated is incredible. I love that. 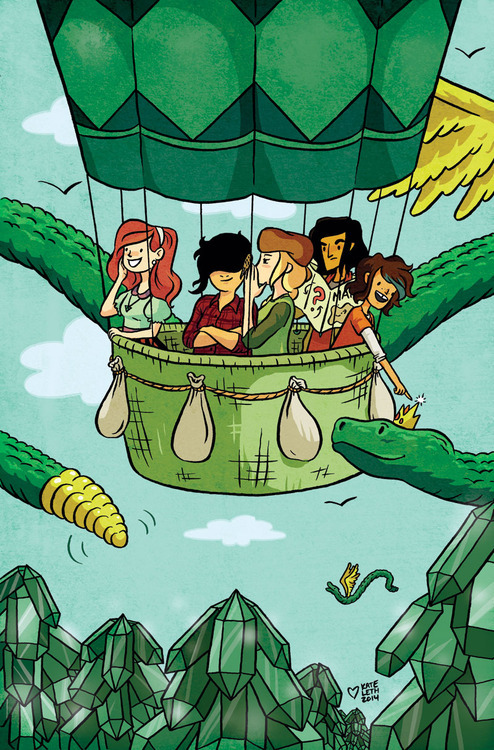 A Lumberjanes exclusive variant cover for Emerald City Comicon. When did you first pick up a comic book and what was it? Do you still have it? Do I still have it? Oh, lord no. It was an Archie of some kind. Archie and I go way back. The ink. The ink is rad. I read some of your cartoons about why you started getting tattoos and, if I may say, I think it’s pretty cool. But can you tell us anything about the designs you chose? 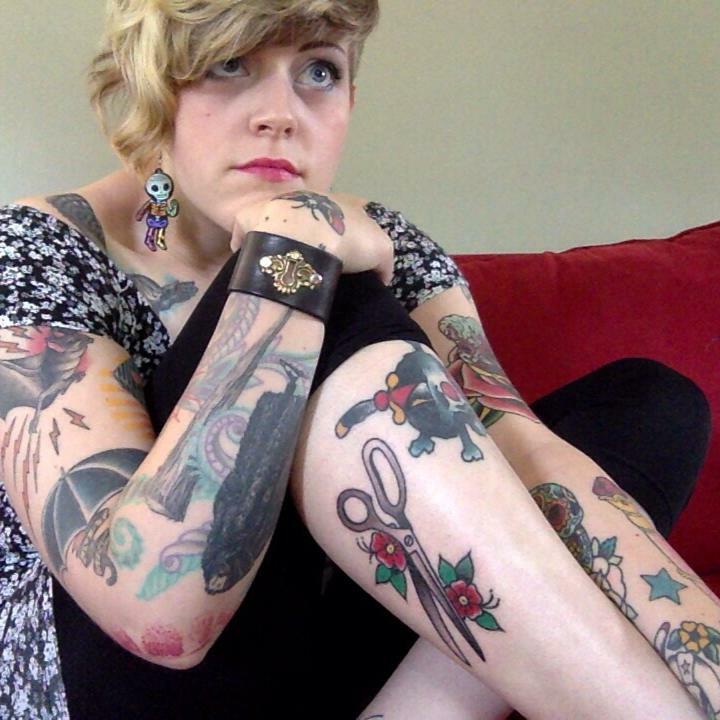 As a guy with tattoos married to a woman with tattoos, I love hearing about why people choose what they choose. Some of them are things I’ve thought about for a long time — the Metaluna Mutant from MST3K/This Island Earth, for example, which is a tribute to B-movies as much as it is some of the best times I remember with my parents as a kid — and others I decided on the day of, like the heart on my thumb. All I know is that since I was a kid, I wanted to have tattoo sleeves. They make me feel strong, pretty, tough. I love them. Kids love them, too. If you could design the perfect gig for yourself in comics, what would it be? Writing a some kind of ongoing magical realism all-ages comic where I sometimes get to draw the covers. That, or Miss America Chavez and Kate Bishop are Best Friends Forever but the Sexual Tension is Palpable. What’s the most sentimental comics-related thing you have? The art given to me by kids. I frame all of it. Name your comics guilty pleasure. I don’t really prescribe to the idea of guilty pleasures – you like what you like, right? 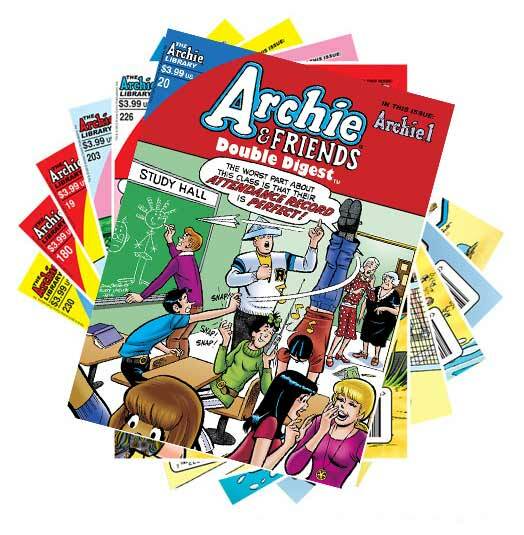 That being said, I am still a sucker for Archie Double Digests. I pick them up at grocery stores all the time, even though I’ve read every story a dozen times over. From the folks at … Archie! Random question: What do you listen to when you write or draw? Or do you need total silence? When I write, I need total silence. If I’m scripting as I draw, which I often do for my own comics, I have to turn on music the second I switch over to inking/toning. I can’t ink in silence. It’s weird! Tell us something that you’ve never been asked about in an interview before. I’ve never been asked my middle name.